Keep tabs on the temperature in style with this classic Tenby thermometer, suitable for use indoors or out. The simple dial display showing both Centigrade and Fahrenheit can be read at a glance, while the built-in keyhole hook allows easy hanging. 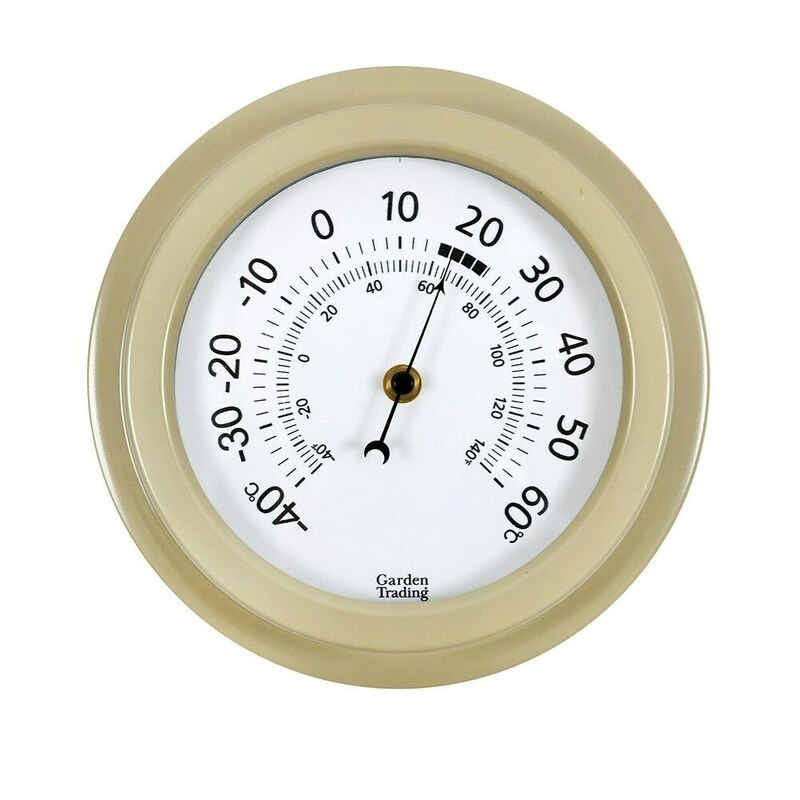 Part of a coordinating range that also includes a clock and barometer, the steel and glass thermometer comes finished in a muted Clay powder coat to sit harmoniously in any setting. A practical and attractive gift for a housewarming or birthday. Supplied in a natural kraft presentation box.